The ginkgo is the oldest living tree species, geological records indicate this plant has been growing on earth for 150 - 200 million years. Chinese monks are credited with keeping the tree in existence, as a sacred herb. It was first brought to Europe in the 1700's and it is now a commonly prescribed drug in France and Germany. It is one of the most well-researched herbs in the world. In the last 30 years, more that 300 studies have given clinical evidence that ginkgo prevents and benefits many problems throughout the entire body. Ginkgo is gaining recognition as a brain tonic that enhances memory because of its positive effects on the vascular system, especially in the cerebellum. It is also used as a treatment for vertigo, tinnitus (ringing in the ears) and a variety of neurological disorders and circulation problems. Ginkgo may help to counteract the effects of aging, including mental fatigue and lack of energy. Ginkgo works by increasing blood flow to the brain and throughout the body's network of blood vessels that supply blood and oxygen to the organ systems. It increases metabolism efficiency, regulates neurotransmitters, and boosts oxygen levels in the brain which uses 20% of the body's oxygen. Benefits of enhanced circulation in the brain include improved short and long term memory, increased reaction time and improved mental clarity. 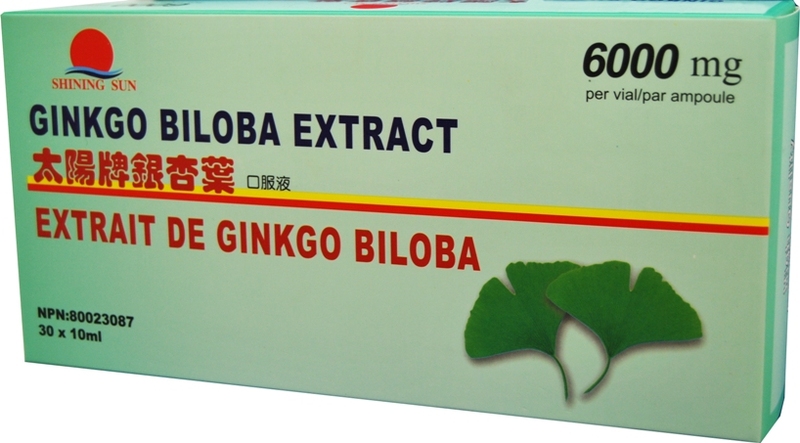 Ginkgo is often used to treat elderly persons with Alzheimer's and other symptoms of cerebral insufficiency. Cerebral insufficiency is a general term for a collection of symptoms that include difficulties of concentration and memory, absentmindedness, confusion, lack of energy, depressive mood, anxiety, dizziness, tinnitus, and headache. Ginkgo constituents are beneficial for a variety of imbalances and deterioration in the brain and body. Standardized ginkgo extract inhibits platelet activity factor (PAF), which is a common allergen in the body. Physical stress, and poor quality food can overstimulate PAF production; in other words, blood clotting. Excessive PAF can help cause cardiovascular disease, brain damage, hearing disorders and other immune and inflammatory diseases. Ginkgo has been used to relieve tension and anxiety and improve mental alertness, elevate mood and restore energy. Ginkgo has two groups of active substances, flavonoids and terpene lactones, including ginkgolides A, B, and C, bilobalide, quercetin, and kaempferol. The ginkgolides have been shown to control allergic inflammation, anaphylactic shock and asthma. Ginkgo also acts as a powerful antioxidant and contributes to the oxidation of free radicals which are believed to contribute to premature aging and dementia. Antioxidants also protect the eyes, cardiovascular system and central nervous system. Ginkgo may also help control the transformation of cholesterol to plaque associated with the hardening of arteries, and can relax constricted blood vessels. The herb has been used in treatment of other circulation-related disorders such as diabetic peripheral vascular disease, Raynaud's syndrome, hemorrhoids and varicose veins. It can also aid in the treatment of insufficient circulation and complications from stroke and skull injuries. Ginkgo's beneficial effects on the circulatory system also can be of benefit in the treatment of eye and ear disorders. Studies have confirmed that ginkgo increases blood flow to the retina, and can slow retinal deterioration resulting in an increase of visual acuity. In clinical tests ginkgo has improved hearing loss in the elderly. It also improves circulation in the extremities relieving cold hands and feet, swelling in the limbs and chronic arterial blockage. Among other things, ginkgo is being investigated as a potential treatment to prevent the rejection of transplanted organs, as a treatment for asthma and for toxic shock syndrome. 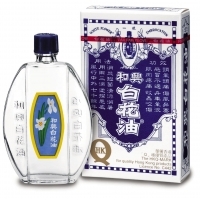 Indications: To improve blood circulation to the brain to help improve memory and concentration levels. Directions: For adults only. To be taken orally, 1 vial each time, 2-3 times daily. *This product is recommended to be taken two hours apart from all other medications. Not suitable for pregnant women.